Three leading UK national news publishers have combined forces to create a jointly-owned advertising platform which they hope will build a “better digital ecosystem” for publishers and readers. The Telegraph, Guardian News and Media, and News UK, which publishes the Sun and the Times, today announced their new platform The Ozone Project, which is currently being tested ahead of an autumn launch. They said the project had been developed “in response to industry-wide concerns across the digital advertising ecosystem”, including brand safety, data governance, a lack of transparency in the supply chain, ad fraud, and calls from advertisers for a single point of access to publishers. 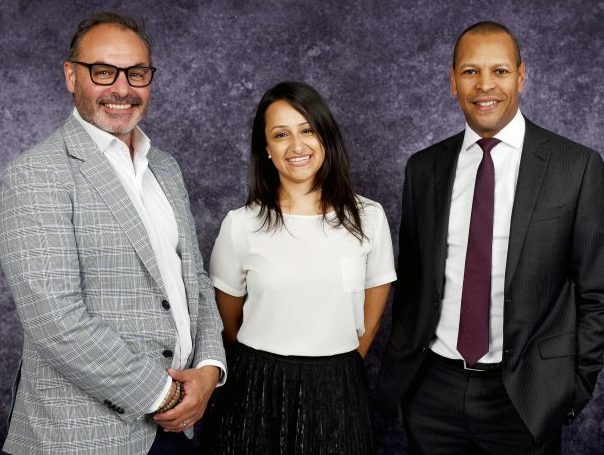 Hamish Nicklin (pictured, left), chief revenue officer at Guardian News and Media, said: “We are working together to build a better digital ecosystem for advertisers, readers and publishers. 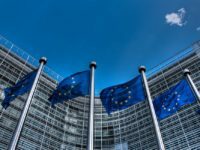 The UK advertising market is dominated by web giants Google and Facebook, known collectively as the Duopoly, who take the lion’s share of revenue and new digital ad growth. Total advertising spend in the UK grew by 4.6 per cent to a record £22.2bn last year, but the journalism industry is getting a diminishing slice of the pie. 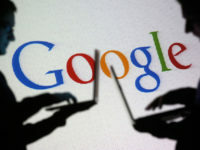 Facebook and Google took 135 per cent of the growth in digital advertising investment in 2017, according to research released today by advertising media company Group M.
Press Gazette launched its Duopoly campaign last year to warn that the dominance of Google and Facebook in the advertising market was pushing news publishers out of business and calling on them to pay more back to news publishers on whose content they rely. Dora Michail (pictured, centre), managing director of digital at the Telegraph, said: “Funding quality journalism is essential for the good of the media industry and society as a whole. The publishers said The Ozone Project would offer advertisers and agencies “direct and transparent access” to a combined audience of more than 39.4m unique users in “brand safe, fraud free, premium environments”. The audience is therefore roughly the same size as on Facebook. The social media platform has not released a figure for its number of UK users, but in May last year said it had 30m daily users on mobile. The ambition is for The Ozone Project to be opened up to other “quality” publishers and partners “over time”, said the media groups. Six major UK publishers – News UK, Trinity Mirror (now Reach), Guardian News and Media, Telegraph Media Group, DMG Media and Northern & Shell first began talks in summer 2016 to discuss the feasibility of a joint ad sales venture. Daily Mail publisher DMG Media was the first to pull out of the talks in January 2017 to focus on its own “broader commercial priorities”, and by July last year only News UK and Guardian Media Group remained involved in the project. French publishers have led the way with a number of joint ad sales initiatives launched last year, including Gravity, which the International News Media Association said has brought together 25 groups and 150 digital brands – a daily reach of more than 50 per cent of French internet users.